2019 Exhibitor Prospectus: Please read the prior to registration. coming soon. 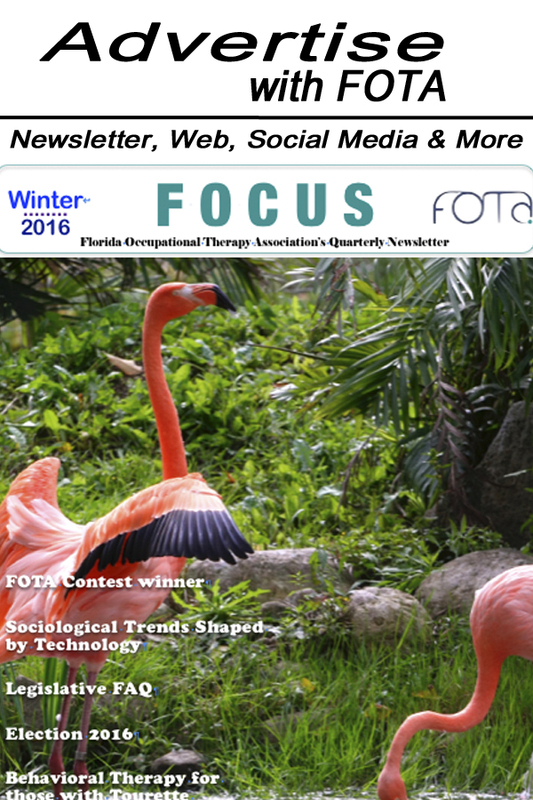 Full pg ad in Program & logo on cover, Links on FOTA conf pages, Prime booth location, discount conf registration, 1 Full pg ad in FOTA newsletter, 2X Banner ad on FOTA eblasts, 2 ads on FOTA Social Media, Sponsor Logo at FOTA registration table, booth & awards. Unopposed Exhibit Hall time with no competing educational sessions. One Complimentary lunch per day. There is an additional electrical charge (arranged directly through the hotel). Limited Space, so reserve your space soon! Exhibit Raffles, to encourage attendees to visit each exhibitor. The FOTA Conference Program Guide is used by attendees throughout the conference. It includes abstracts of educational sessions and a form to record or plan the attendee's education sessions. Attendees retain the program for their records of continuing competency activities. A limited number of premier advertising placements are available. Ensure that everyone leaves conference with a reminder of your company! FOTA will distribute your company’s literature or small promotional item to all attendees with the conference registration packet. FOTA will need approx. 650 (depending on #registrations). Please email [email protected] for shipping instructions and address. Increase your company’s visibility and website traffic by placing your company’s Logo and Link on the FOTA Conference Registration Page. All Logos and Links will remain on the website through December 2019. The sooner you register the more exposure your company will get!